Permanent members of MotoContrario ensemble are currently Cosimo Colazzo (pianist, composer, conductor), Emanuele Dalmaso (saxophonist), Beatrix Graf (clarinetist), Marco Longo (pianist, composer), Andrea Mattevi (violist, composer) and Riccardo Terrin (trumpeter). The ensemble collaborates with musicians such as the pianist Mariarosa Corbolini, the cellists Margherita Franceschini, Ivo Brigadoi and Alberto Delama, the double bass player Valentina Massetti, the percussionists Alessandro Bianchini and Federico Agnello, the guitarist Ardan Dal Rì, the live-electronics performer Raul Masu, the tenor Ettore Filippi. MotoContrario is therefore a variable ensemble, open to plural contributions, which lead him to face repertoires ranging from the duo to the large ensemble. This flexible organic has allowed MotoContrario to take care of performances (world and italian premieres) of works by composers coming from all over the world. 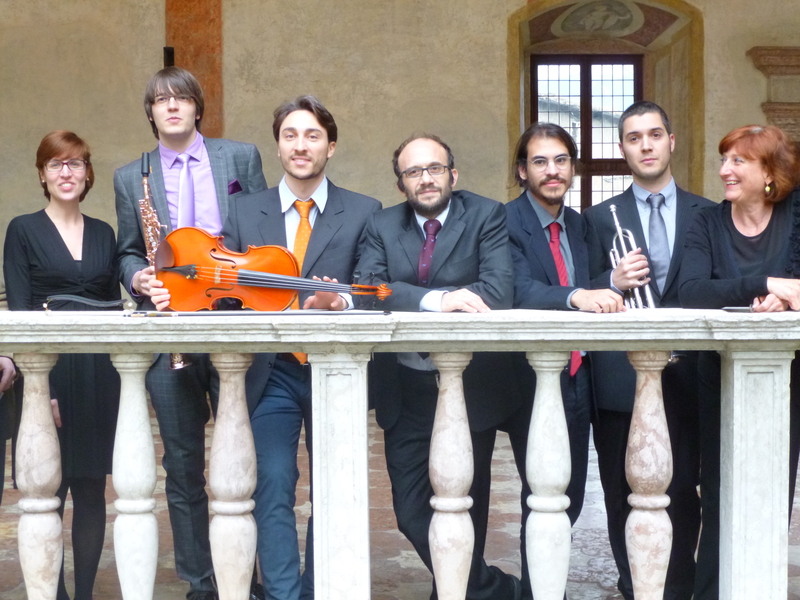 The ensemble was among the winners of the “Open – Contemporary Creation 2014” competition, organized by the 2014 edition of Pergine Spettacolo Aperto festival. It has collaborated with the Conservatory of Trento, holding seminars on contemporary instrumental techniques and in the next future it will be a resident ensemble at the Conservatory of La Spezia.